Proper planning and design that includes site and soil assessments, and appropriate plants, is critical for a successful rain garden. Rain gardens and bioswales filter polluted runoff from your yard, driveway and roof, while providing a diverse habitat for your yard and neighborhood. These practices can alleviate flooding and swamping backyards. 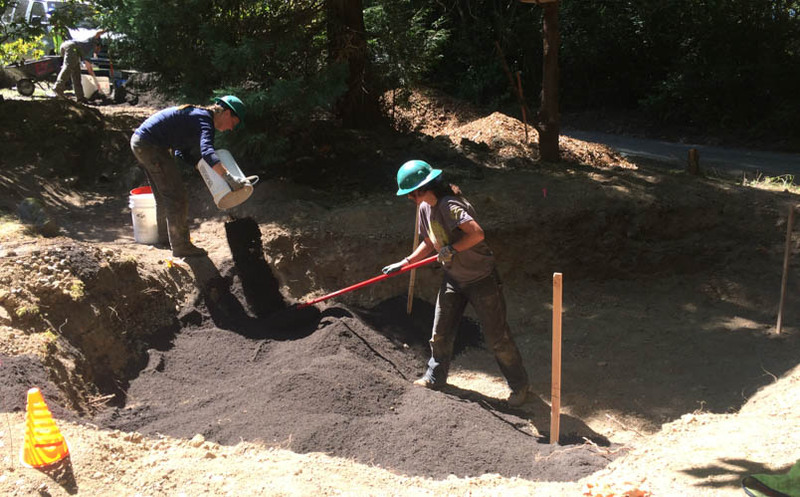 EarthCorps is an approved Rainwise Contractor and our experienced staff will work with you to develop your vision and provide a budget and timeline for your approval.